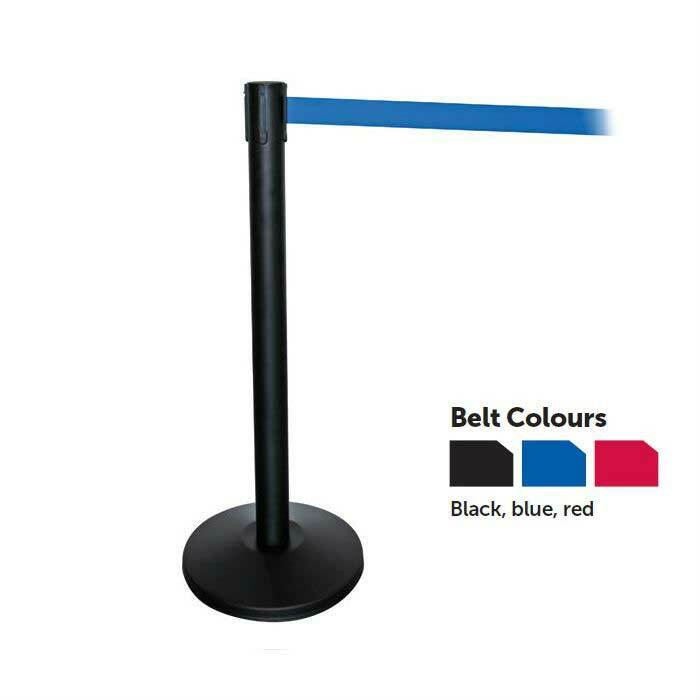 Belt barriers are an effective solution to controlling the flow and direction of a queue. These concrete base posts are powder coated black to give a durable, professional appearance, each post is then finished with a specialised paint to prevent the appearance of finger marks. 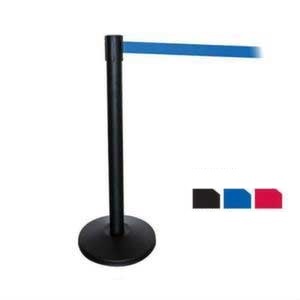 The 4 way connectivity of these posts allows a queue management system to be easily set up and adapted whenever needed while the 2m of 100% chevron webbing belt supplied with each post is fitted with a safety brake and available in 3 colours: Black, Blue & Red. Each individual post is supplied fully assembled and their 9kg weight ensure their stability while being light enough to easily move and re-position whenever required.